Saw these at Michael's yesterday. 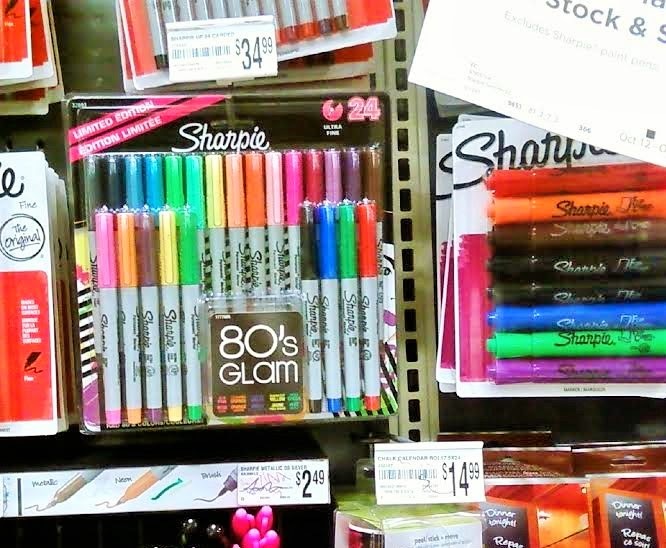 As I'm a total Sharpie addict, and a child of the 80s, I must get these. I will, however, wait until I get a Michael's coupon (that price tag hurts!). I think on the back it says you need to have big hair, wear jellies and be an avid MTV watcher. Or maybe that was just me.